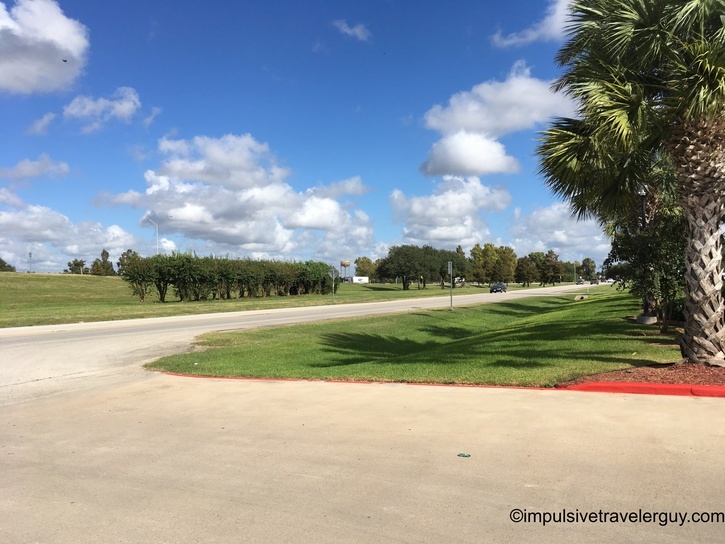 For pretty much all of my road trips, I do my own driving. It is very rare that I am actually a passenger. When going to the wedding with my girlfriend, she drove. 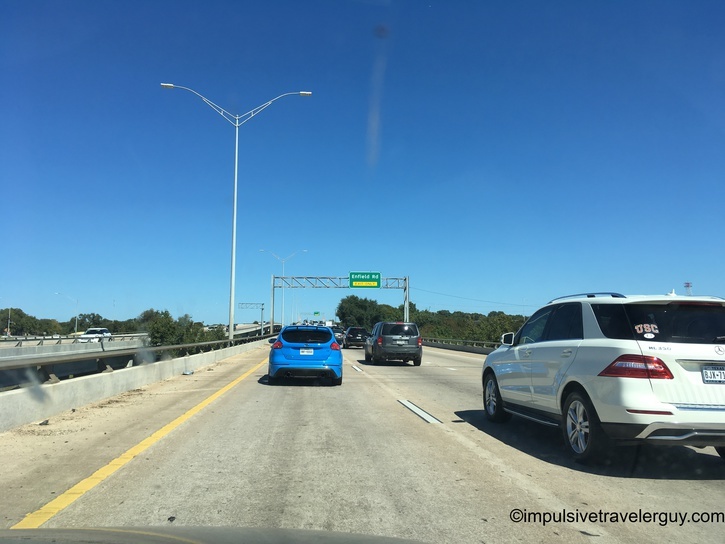 This time I was able to make a few observations I probably would not have been able to make if I was driving. 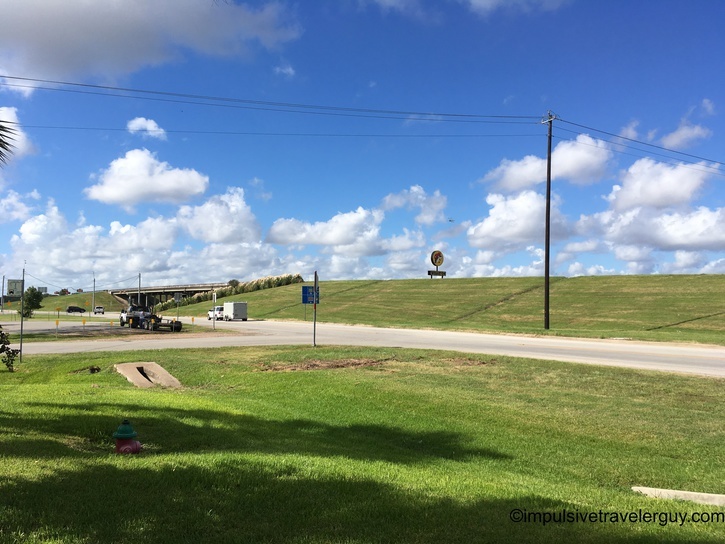 Before we started driving on our way back, I remembered how messed up the intersection was that our hotel was on. 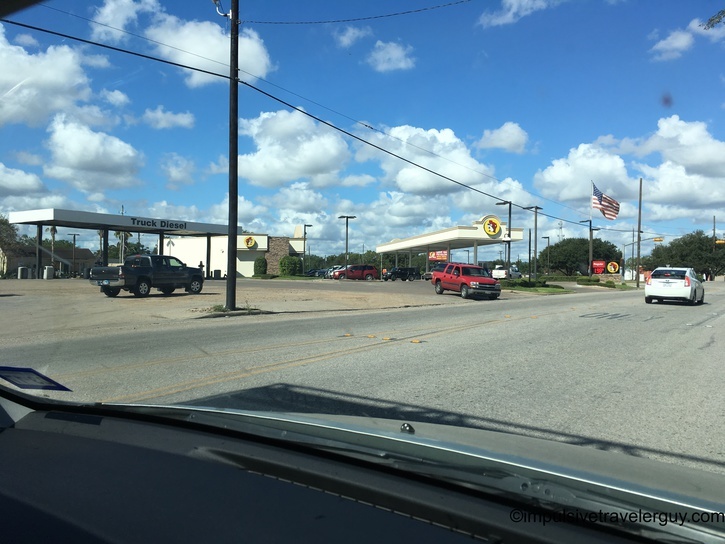 I then remembered I had to mess around with this intersection because I stopped at Buc-ee’s to get something on a previous trip from Victoria to Houston. 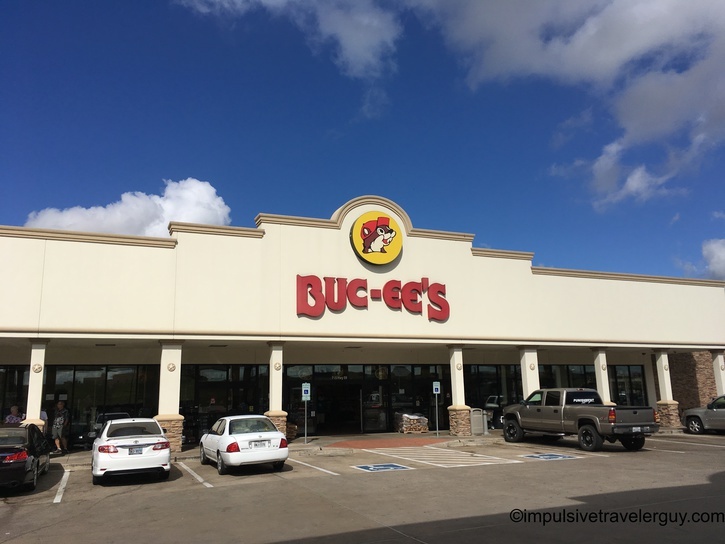 Talking about Buc-ee’s, we decided to stop there to get some caffeine. 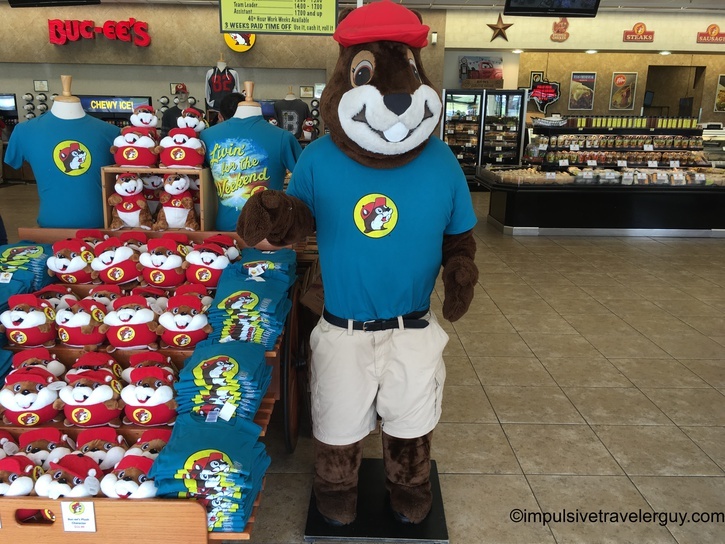 In this part of the state, there are a lot of Buc-ee’s. 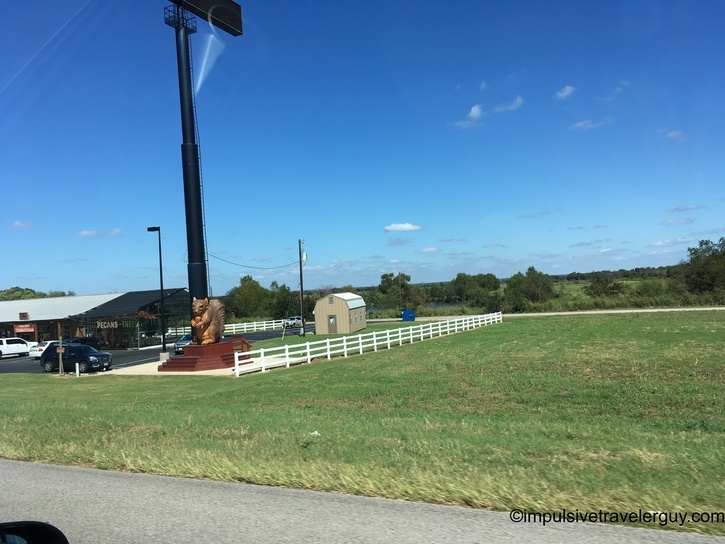 We drove past an actually not so massive one along the way. 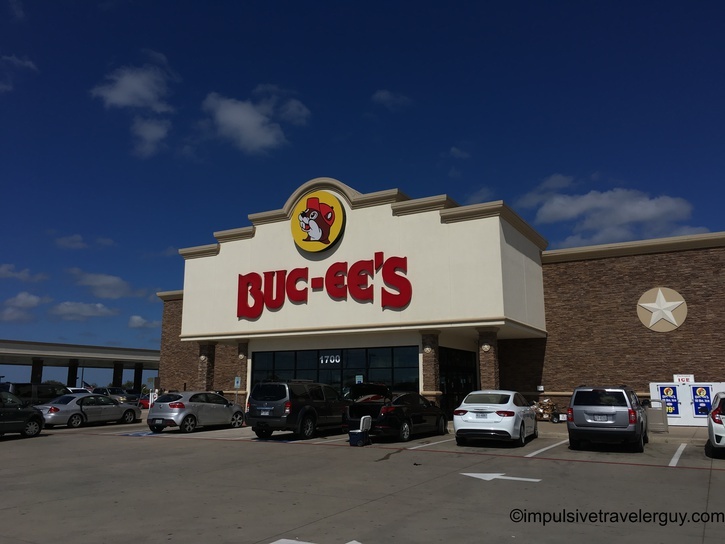 We were getting thirsty again (and had to go to the bathroom) when getting close to Austin, so we stopped at yet another Buc-ee’s. When we hit the road again. 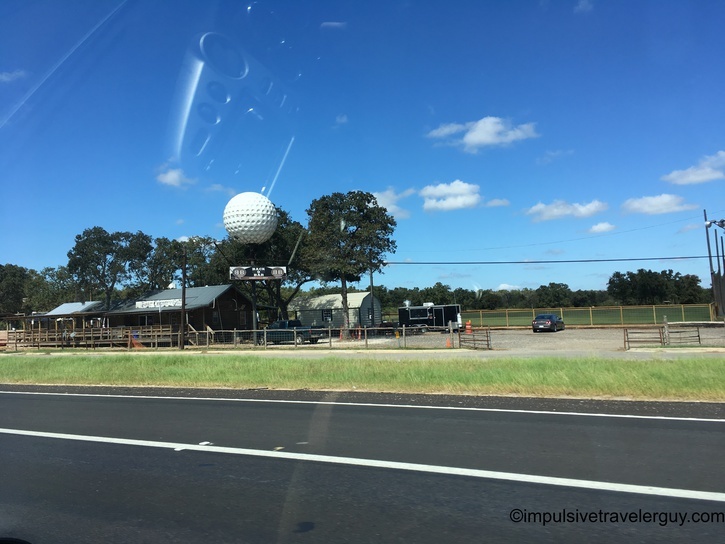 I saw this huge golf ball sign. 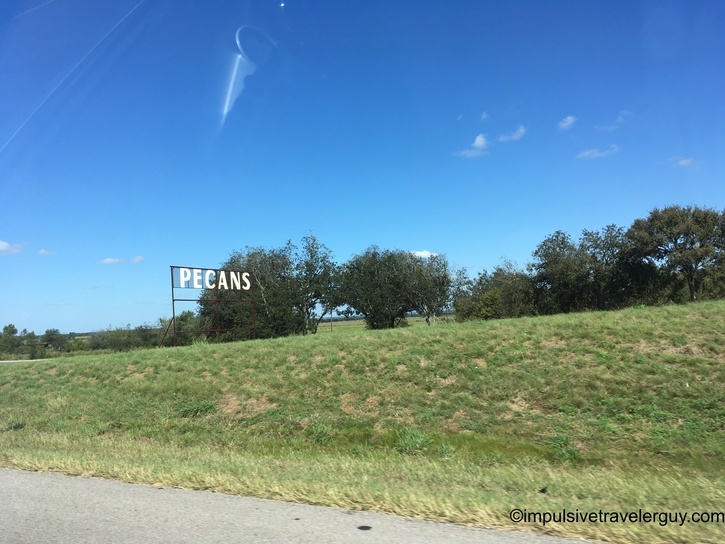 There was a place selling pecans with a big squirrel sign. I was told they have a 24-hour vending machine if you’re really craving pecans in the middle of the night. 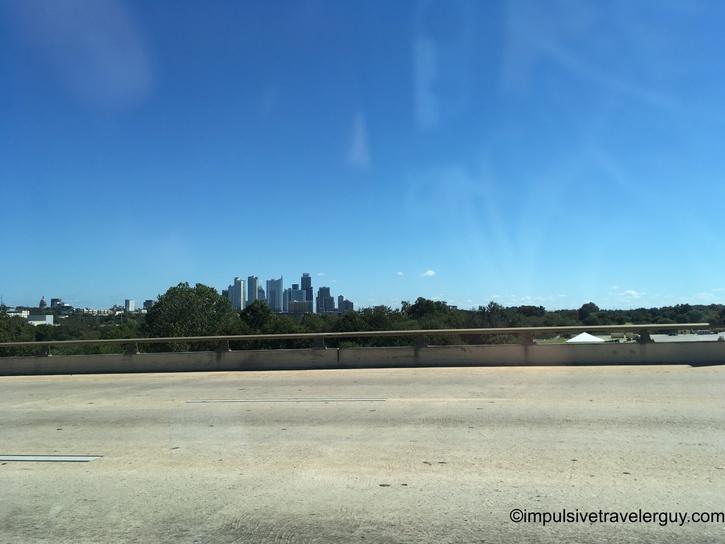 Eventually, we hit Austin traffic. Better her fighting it than me. 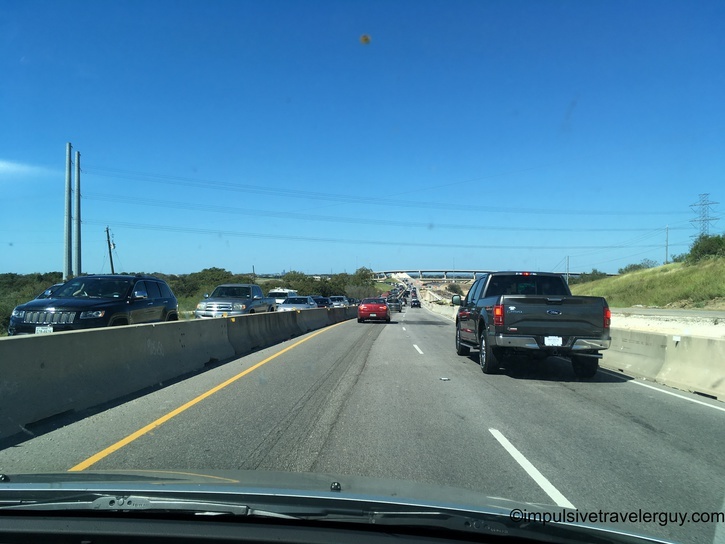 …as we fought some more traffic. It was nice not having to fight traffic and having someone else drive for a change. I was able to observe some cool things and actually get pictures of them since I didn’t have to pay attention to the road. I do like to drive and see stuff, so I’m guessing I’ll be doing a ton more of my own driving in the future. It was just nice, this time, being able to sit back and do a whole lot of nothing.